Floyd Mayweather, as he’s so often able to do, stole the show on Saturday night, during a fight card he promoted. Ater the first of three fights on Showtime, a Julian Williams win over Nathaniel Gallimore, Mayweather spoke to master interrogator Jim Gray. Are you fighting again,asked Gray. I’m retired, said Floyd, but I would and will consider fighting again. But not in a boxing ring — I’d fight in the UFC, in the Octagon, if I can do a multi-fight deal. Dana White wold have to work with Stephen Espinoza and CBS, but, Floyd said, he’s open to it. Against Conor McGregor? Or did Conor DQ himself for a Floyd fight with his Brooklyn hijinks the other day. No, he didn’t, but once you get to a high plateau, you best behave yourself, said Mayweather. He then added another wrinkle, putting back on his promoter hat. Adrien Broner and Gervonte Davis fight at Barclays Center in Brooklyn April 21, and if Gervonta wins his fight against Jesus Cuellar, Floyd has an idea for his next. He’s talked to Todd DuBoef at Top Rank, he said, about matching Davis against Vasyl Lomachenko. Davis made clear with Twit-mojis that he finds the idea comical. Internet chatter has Floyd putting this news out to eff with Gervonta, after Gervonta busted his chops, for under-promotion, in a since deleted Tweet. 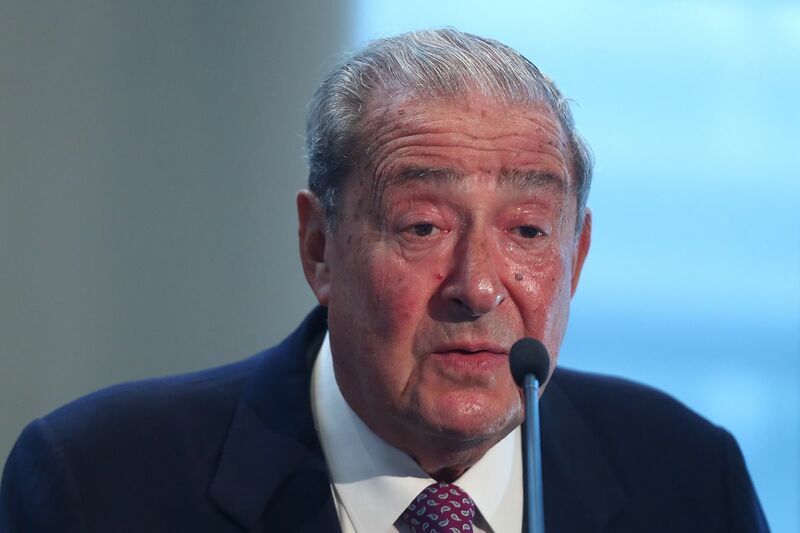 “Don’t think so,” said Arum. DuBoef, too, confirmed on Twitter that he and Floyd had talked about making Loma vs Gervonta. Davis is favored over Cuellar at Barcays in their super feather faceoff and coming-up-from-130 Loma is favored over Jorge Linares, the WBA 135 champ, when they tango in NYC and on ESPN May 12. Not that long ago, Floyd said he’d be taking his time with Gervonta, being that he’s young and has room to grow and learn. Seems like maybe he’s more open to accelerating his steps up in a big way.